Call Ducks are a bantam breed of duck that were originally used as decoys for duck hunters. Their loud quacking would attract other ducks into an area which would then be destined for the pot. Ours lead a more cosseted existence. 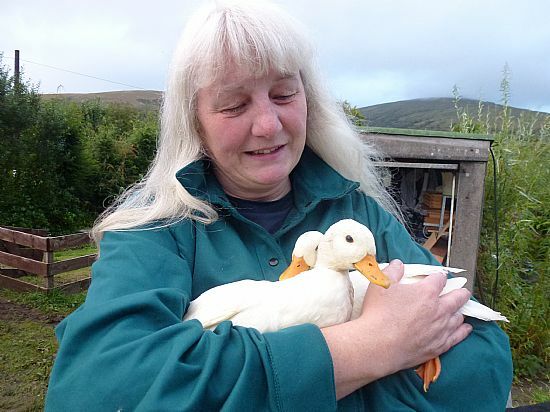 We bought our ducks as fertile eggs from eBay and popped them into the incubator. made out an Excel spreadsheet telling me what to do which you can download here: just fill in the date when you put yours into an incubator and it’ll automatically work out what you have to do and when! 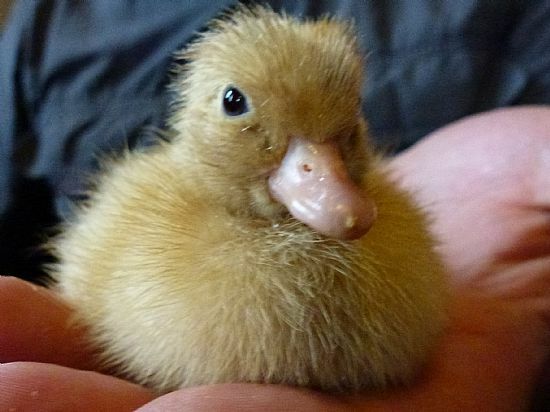 Watching ducks hatch is magical. For about a day before they finally emerge the egg starts rocking to and fro and you can see cracks (and often a small bill) appearing as the hole gets bigger and bigger. 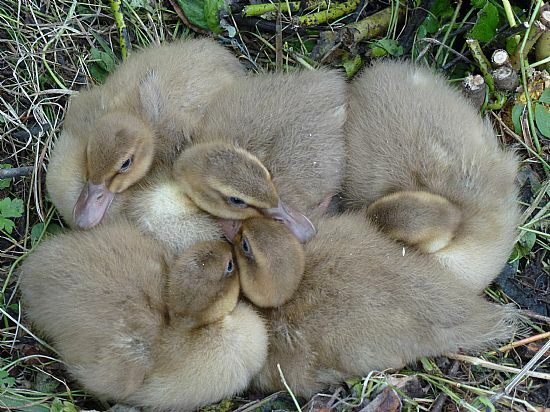 When the duckling finally emerges they look bedraggled, frail and helpless – and you feel that they’re so weak they can’t possibly survive and that you must do something to help. 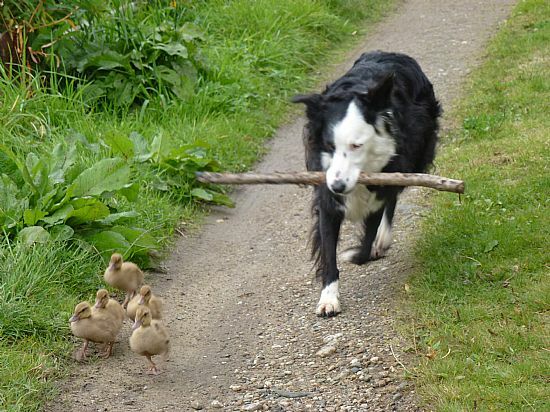 The best help you can give is to do nothing – apart from leaving them alone in the warm to recover in their own good time. After ten or fifteen minutes they'll probably be sitting up and cheeping like mad! Our first duckling certainly was. After a day they’re perfectly capable of having their first swim but their waterproof feathers don’t develop for several weeks as Mum isn’t available to secrete waterproofing for them so we always ensured that they were gently dried with a towel and put under their heat lamp to keep cost afterwards. After three weeks they were out in their Eglu Classic and run with a washing-up bowl to swim in and by six weeks they were free-ranging in the garden - under supervision as I have a cat. After a couple more weeks it was obvious they could take care of themselves as they successively chased off chickens, cat and border collies. We had so much fun with the first two white ducks, Mucky and Muddy, that we decided to get another half a dozen eggs and try again. Five out of the six hatched so we now have Stan and Ollie, Ola, Erin and Flavia as well. 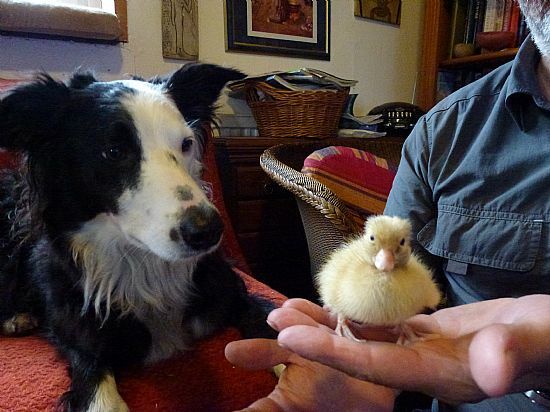 Raising ducklings is both satisfying and good fun but also a lot of hard work and commitment. 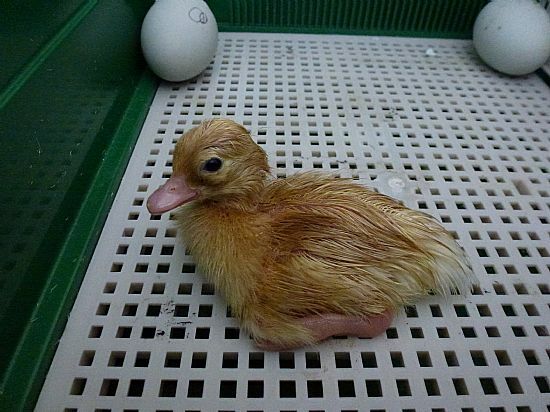 After hatching they need to be kept in a secure and warm environment and cleaned out regularly. VERY regularly! It’s amazing how much poo a few small ducks can excrete. But watching those little balls of fluff (and then feathers) develop into seven distinct, but naughty, little characters has been one of the most satisfying things I have ever done. Call duckling half an hour after hatching and looking bright and alert already! 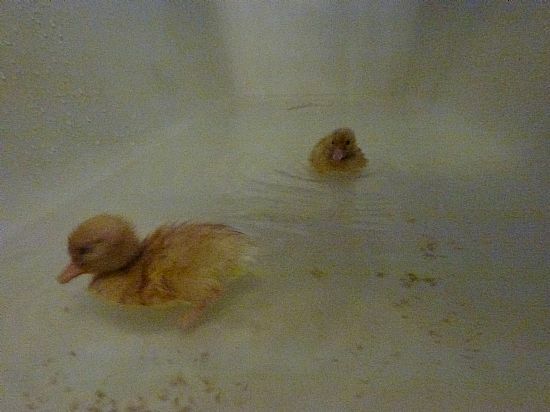 The ducks were taught to swim in the bath at a day old. As they hadn't developed their waterproofing at this point they had to be carefully dried with a towel and put under a heat lamp afterwards to ensure they stayed warm. Sophie soon assumed the role of 'Mum' and took to following them around the garden to make sure they were OK.